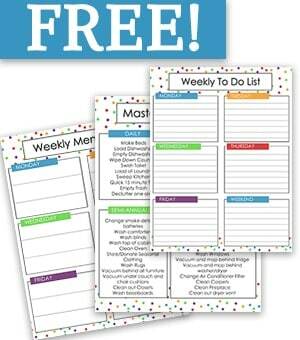 It won’t be long and all the fall activities will be here! 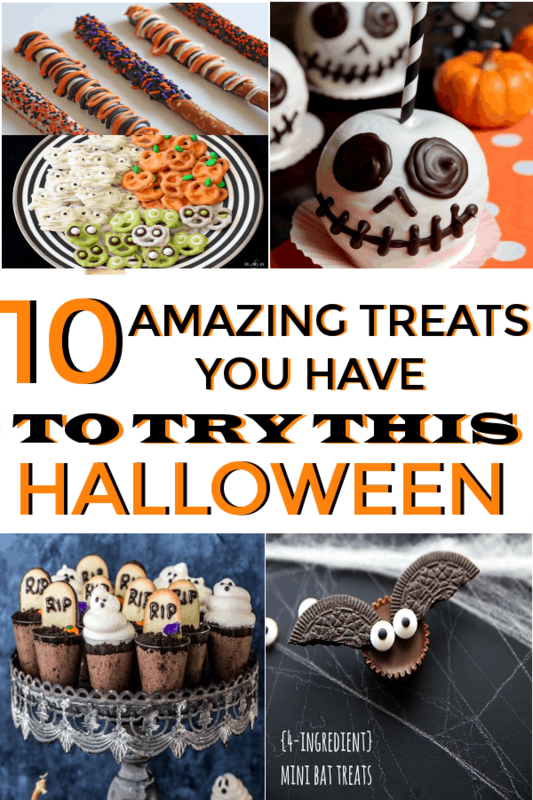 Halloween will also be here and there are so many fun things to do with this holiday. 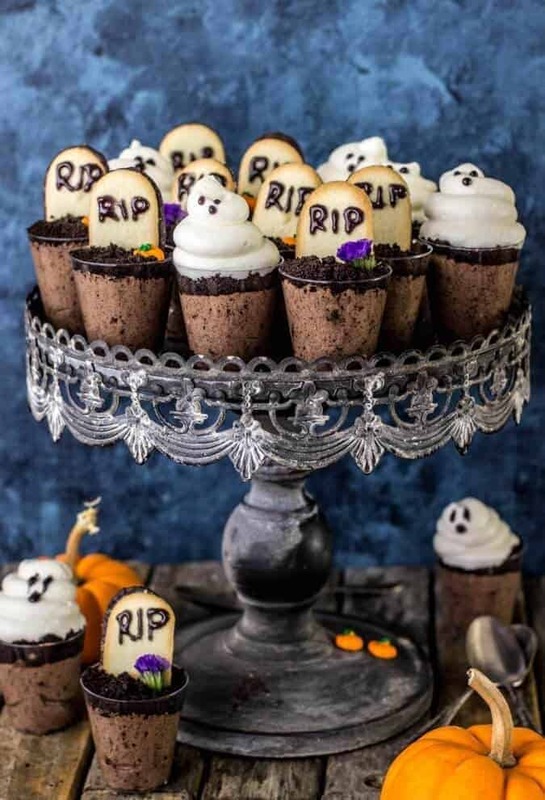 I have found some fun, delicious looking treats across the web that would make the perfect treat for a Halloween party or event. 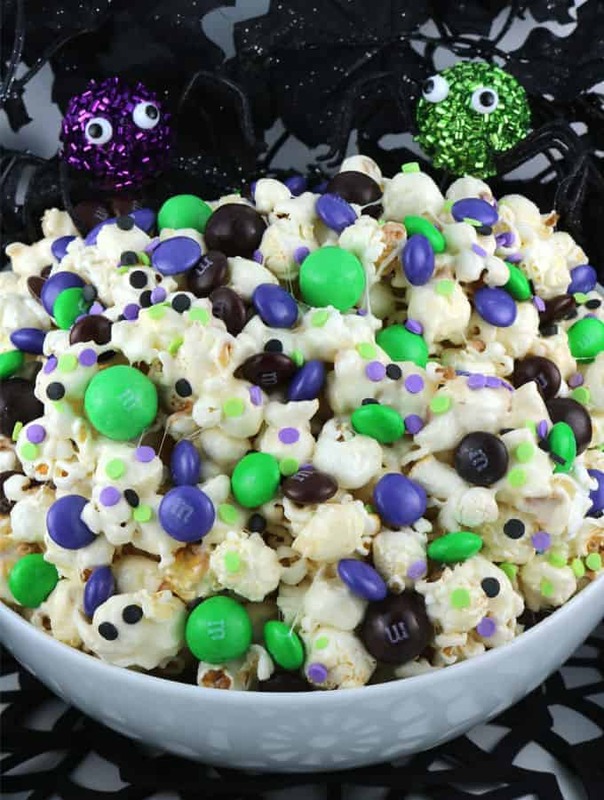 Related Posts: 10 DIY Halloween Decorations to Die For Found at Two Sisters Crafting I love popcorn and M&M’s so this combo seems great mixed. 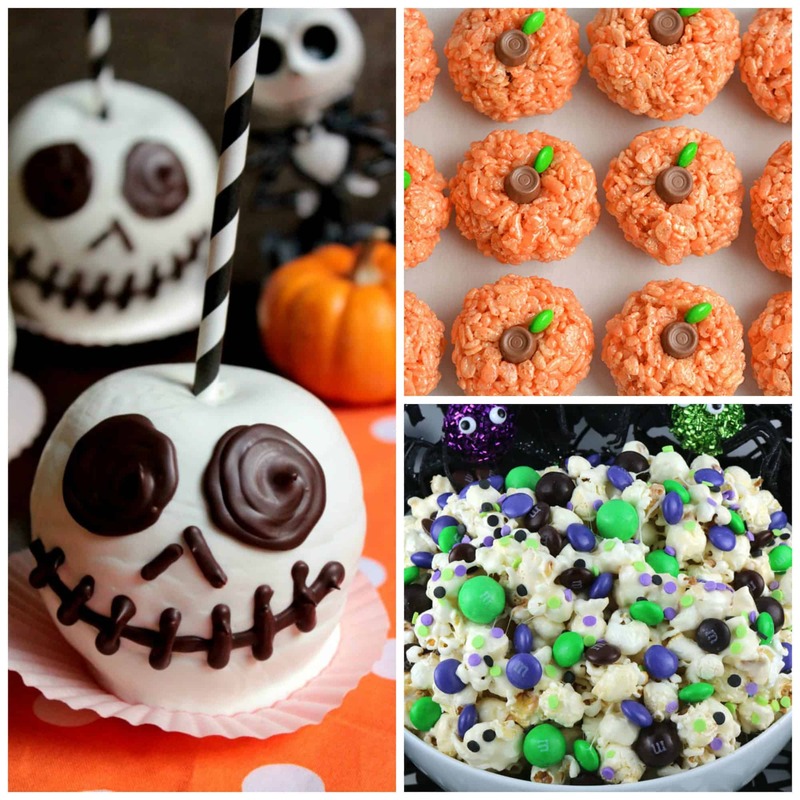 I love how it all looks together and would make a great Halloween treat. 2. 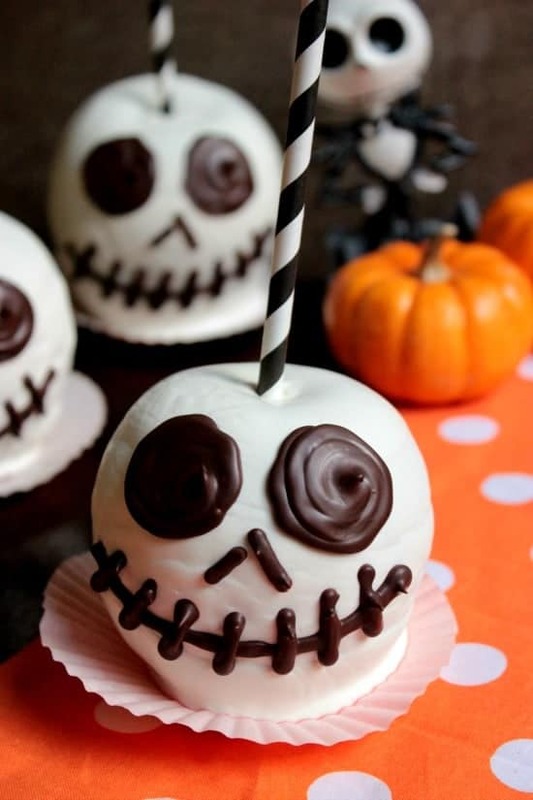 Jack Skellington Chocolate Apples – Chocolate Covered Apples Found at Big Bears Wife Are these not adorable in a scary way? I love the way they look and would make any Halloween table look great! 3. 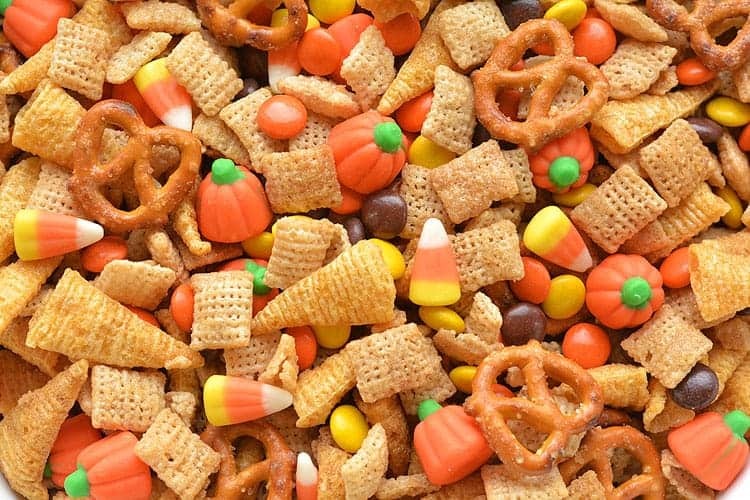 Harvest Hash Chex Mix Found at One Little Project Chex Mix is great just plain but this recipe makes it even better and would be perfect for your party. I love the touch of the holiday in there. 4. 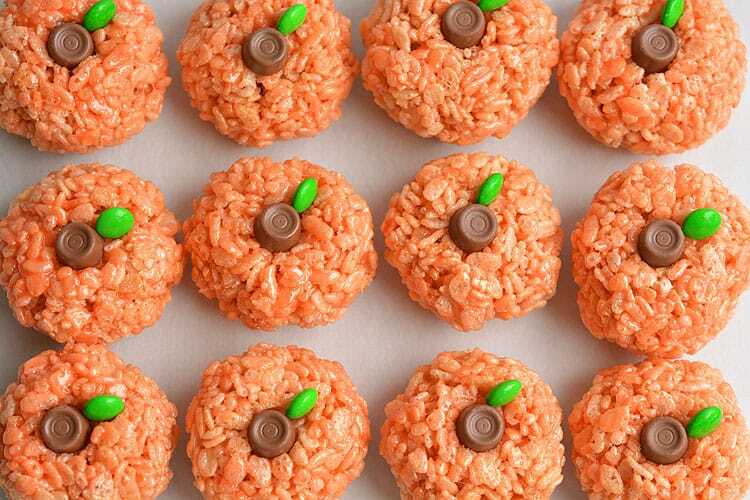 Rice Krispie Treat Pumpkins Found at One Little Project Are these pumpkins not adorable? 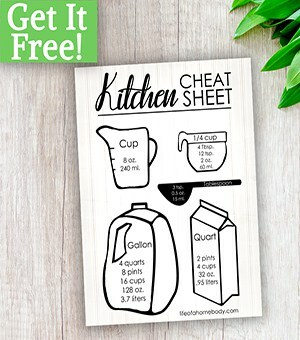 I absolutely love them and want to make these for sure! 5. 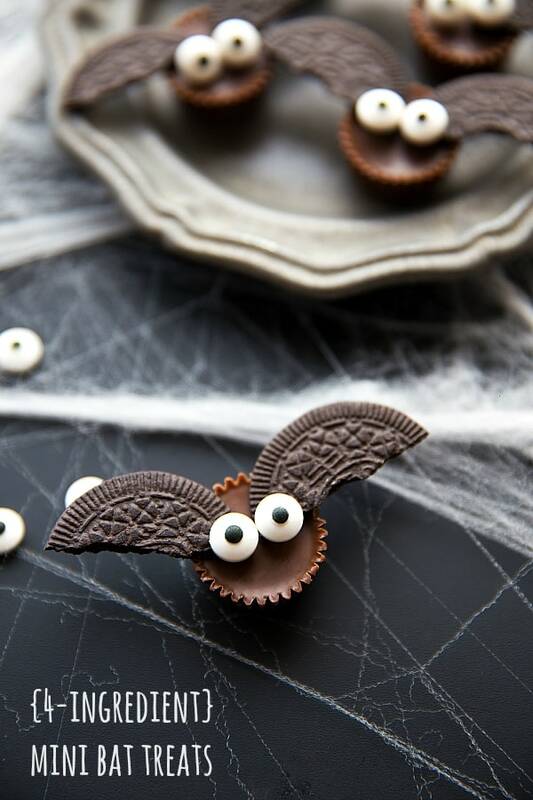 4 Ingredient Bat Halloween Mini Bat Treats Found at Chelsea’s Messy Apron A little Reese Cup with Oreos to make bats, oh yes! 6. Ghosts in the Graveyard Found at Sugar Spun Run No Halloween party would be set without a graveyard. These are adorable. 7. 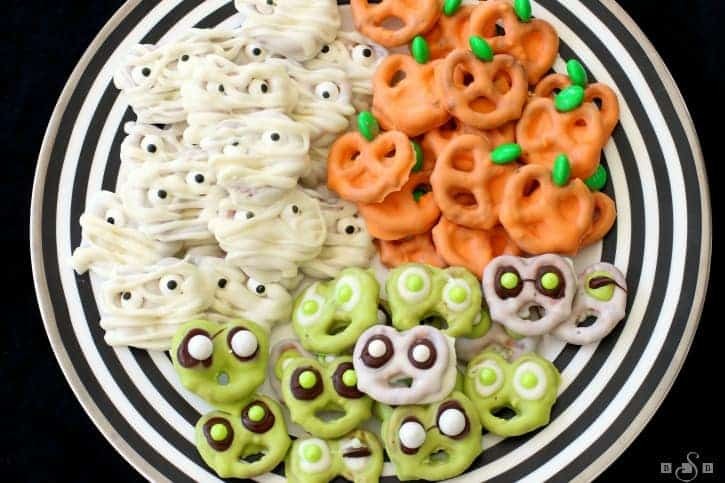 Halloween Pretzels Found at Butter with a side of Bread Check out these fun pretzels, I am always amazed at people’s creativity. 8. 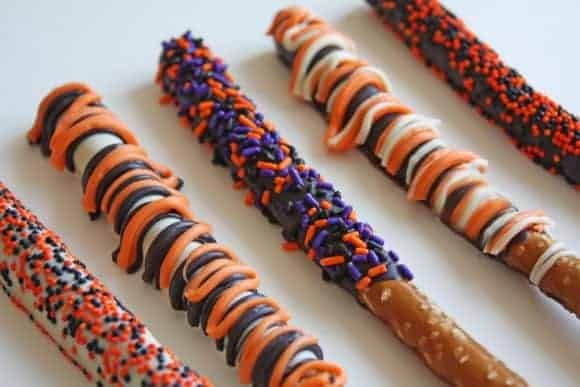 Halloween Pretzel Rods Found at Catch my Party Another pretzel recipe but these are pretzel sticks. I love all the wonderful Halloween and fall colors. 9. Popcorn Witch Hands Found at the Frugal Mom Eh! Now this just screams creative. 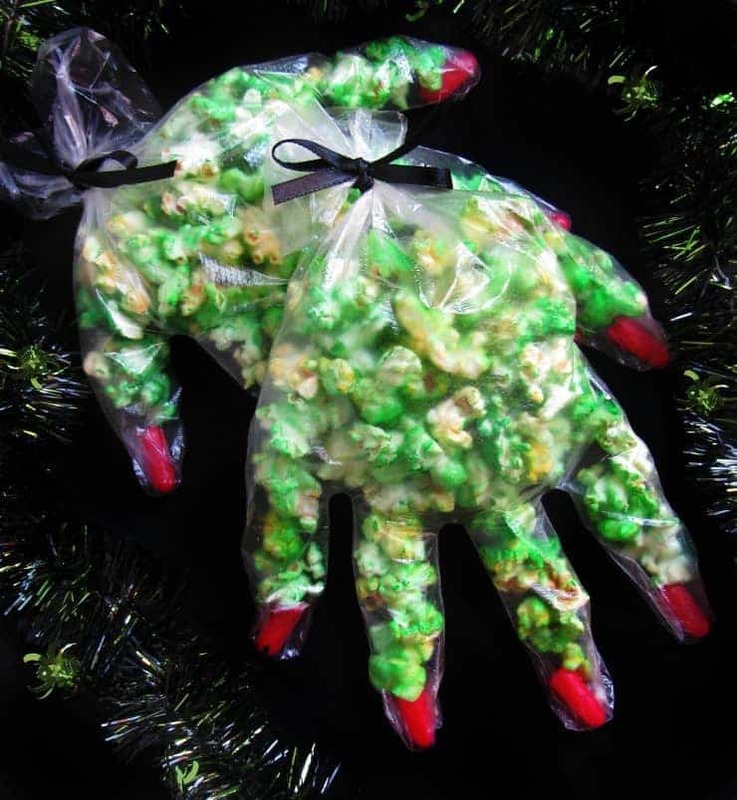 Popcorn witch hands will be the perfect scary treat! 10. 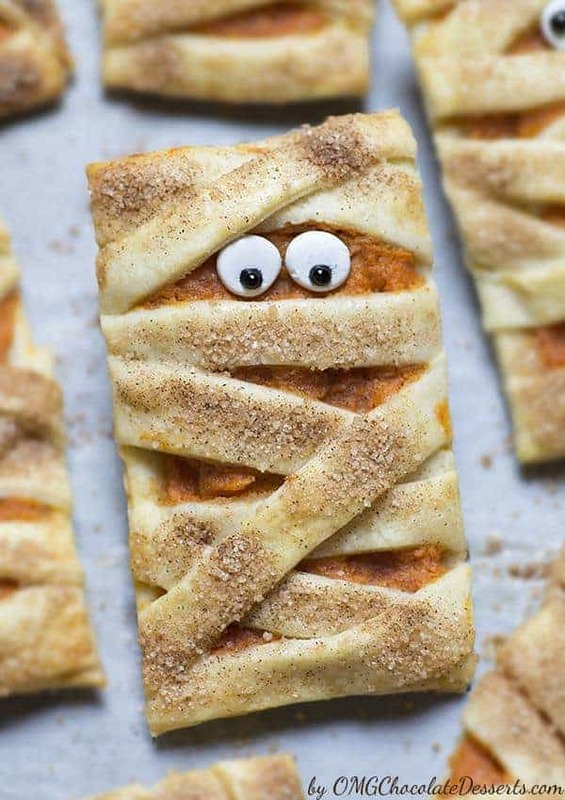 Mummy Pumpkin Cookies Found at OMGChocolateDesserts These are just too cute to be scary! 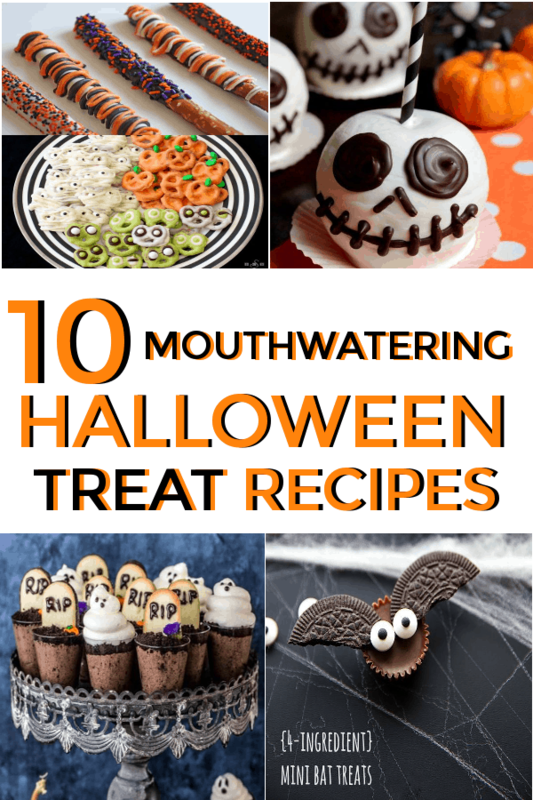 If you love pumpkin flavor these are a must try! 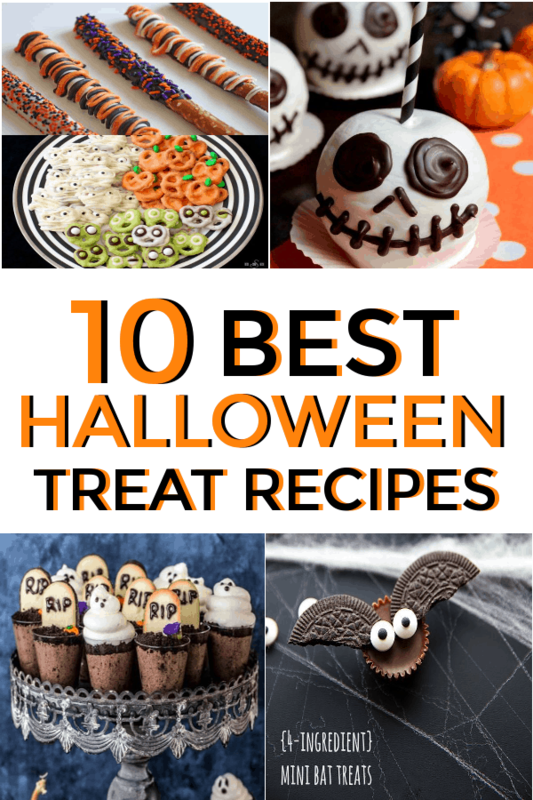 I hope you found some inspiring treats to make for your Halloween event or party! It will be here before you know it!